A panel of six men and women, with a passion for reading and theology has been selected to judge the six shortlisted books. The judges will judge each book against the key criteria for the Prize: to celebrate the most promising contemporary theological writing, and upon the degree to which each book deepens their faith, makes them think, inspires them to action, and is an enjoyable read. The winning book will be announced at Greenbelt on Sunday 25th August 2019. 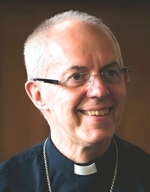 The Most Revd and Rt Hon Justin Welby became the Archbishop of Canterbury in 2013. He was previously Bishop of Durham, Dean of Liverpool Cathedral and a Canon of Coventry Cathedral, where he worked extensively in the field of reconciliation. Before he began training for ministry in 1989, Archbishop Justin worked in the oil industry for 11 years – five in Paris and six in London. Archbishop Justin has three main priorities for his ministry – Evangelism and Witness; Prayer and the Renewal of Religious life; and Reconciliation. He is a member of the Parliamentary Commission on Banking Standards and a High-Level Advisory Board on Mediation for the United Nations. 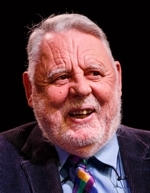 He is the author of Reimagining Britain and Dethroning Mammon, both published by Bloomsbury. Appointed by HM the Queen, Loretta Minghella took up the role of First Church Estates Commissioner in November 2017. 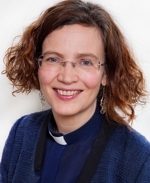 As the First Church Estates Commissioner, she is a member of the Church Commissioners' Board of Governors, the General Synod of the Church of England, and the Archbishops' Council. Her main duty is serving as Chair of the Assets Committee of the Church Commissioners which is responsible for stewardship of an investment portfolio of circa £8 billion. 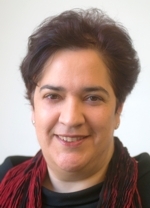 Formerly Chief Executive of Christian Aid between 2010-2017, a lawyer by training with a career in financial regulation, Loretta was previously the Head of Enforcement Law, Policy and International Cooperation for the Financial Services Authority and former CEO of the Financial Services Compensation Scheme. 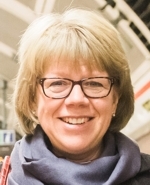 Loretta is a Non-Executive Director of the Banking Standards Board and a trustee of St George's House Trust (Windsor Castle) since 2015, she is also Sarum Canon at Salisbury Cathedral. As a former nurse, Bishop Sarah had a distinguished service in the NHS before ordination, culminating in her appointment as the Government’s Chief Nursing Officer for England in 1999, when she was the youngest person to be appointed to the post and was made a Dame Commander of the British Empire in 2005 in recognition of her outstanding contribution to nursing and midwifery. She was ordained in 2001 and served her curacy in Battersea, initially as a self-supporting minister. She left her post as Chief Nursing Officer in 2004 to take up full time ministry, becoming a Team Rector in the London Borough of Sutton in 2006. In 2012, she was installed as Canon Treasurer at Salisbury Cathedral. 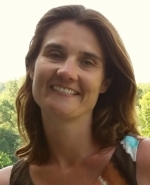 Emma Wild-Wood teaches African Christianity and African Traditional Religion at the University of Edinburgh, and co-directs the Centre of the Study of World Christianity in the School of Divinity. She has also taught in Cambridge, north-east Congo and Uganda. She's married to Peter, a minister in the Church of Scotland, and they have three teenage children.